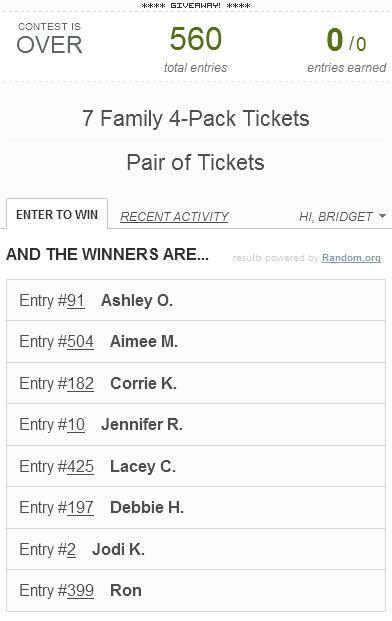 Being Frugal and Making It Work: Monster Jam at the Spokane Arena - Giveaway Winners! Monster Jam at the Spokane Arena - Giveaway Winners! What better way to kick of the weekend than by announcing EIGHT lucky winners! These winners will get to take their families to experience the loud, crushing sound of Monster Jam at the Spokane Arena! Are you one of the 8 lucky Monster Jam ticket winners? CONGRATULATIONS to all of the lucky winners. I have sent you all a message. You will have 48 hours to respond to the email, or another winner will be drawn. If you didn’t win, don’t worry there are lots of other great giveaways to enter, right here at Being Frugal and Making it Work! I hope you have a smashing time at Monster Jam at the Spokane Arena next weekend!